The WAVES VIENNA 2019 is seeking for Bands & DJs from all genres. Vom 26. bis 28. 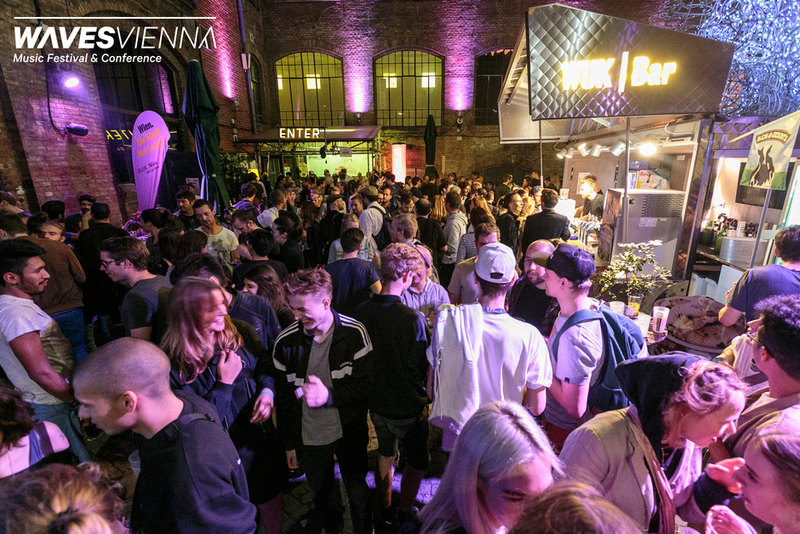 September 2019 findet Wiens Club- und Showcase-Festival Waves Vienna zum neunten Mal statt. Zahlreiche Bühnen im 9. Wiener Gemeindebezirk werden drei Tage lang von neuen Talenten und bereits etablierten Acts bespielt. Waves Vienna ist seit 2017 Teil von INES - Innovation Network of International Showcases. Waves Vienna is the city’s first club- and showcase festival. In autumn Vienna’s most significant clubs, unique off-locations, and the public space will merge into the site of the Waves Vienna Festival. Waves Vienna is part of INES - Innovation Network of International Showcases. Please note that 2019 Waves Bratislava and Waves Vienna are not happening at the same weekend as the years before.